A bona fide religion in which a God named Sachin Tendulkar is worshipped by billions, cricket is India’s most popular sport. A country in which every win by the Men in Blue is celebrated like a festival, cricket in India has become synonymous with emotions. India is home to 50 international cricket stadiums, with a few cities like Mumbai having more than one ground. From those 50 stadiums, there are five which stand out for their infrastructure, beauty and also craze for cricket in the city. Let us take a virtual tour of these five famous stadiums. 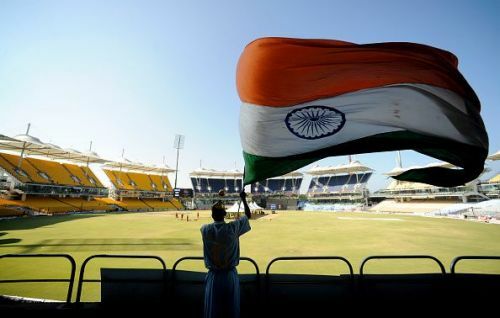 Formerly known as Chepauk and Madras Cricket Club Ground, the stadium was renamed after the President of the BCCI, and also the President of the TNCA, MA Chidambaram. It has a seating capacity of 38,000 and is the home ground of two-time IPL Champions Chennai Super Kings. The venue has been particularly special for former India captain MS Dhoni, who has hit some memorable knocks here, including his most recent 79-run innings against Australia in the first match of the five-ODI series. The atmosphere and the crowd at the stadium are extremely respectable. In 1997, the spectators gave a standing ovation to Saeed Anwar after his sensational 194 against India in the Independence Cup, a match which India lost. A standing ovation for a Pakistani cricketer is not something that is often seen in India. Who are the 4 batsmen who have been out to Virat Kohli's bowling in ODI cricket?